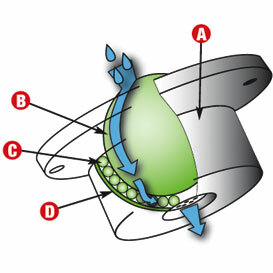 5 drain holes allow for rapid dispersal of fluid through the base of the stainless steel hemispherical cup. Balls and internal support cup in AISI 420 stainless steel. 220 kg (ball up or ball down) load rating.